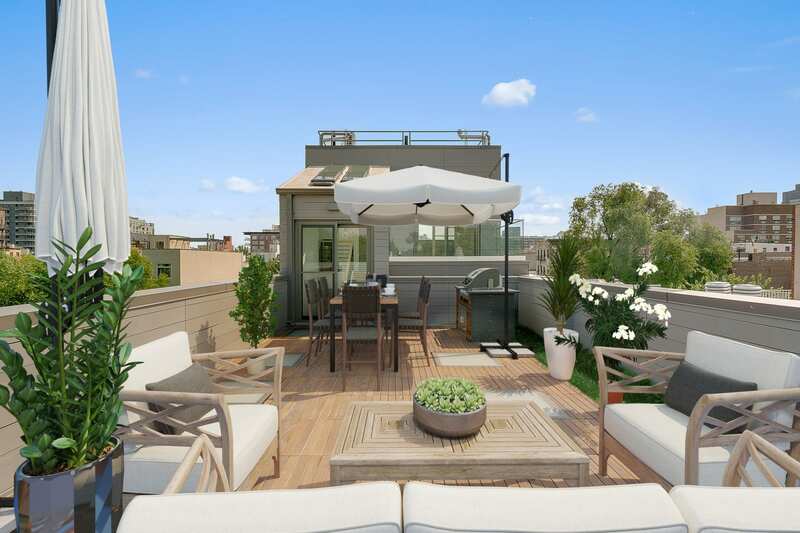 This exquisite penthouse home touts an impressive interior of 2050 SF and an 812 SF private roof terrace that offers an elegant lifestyle of pure leisure and serenity. 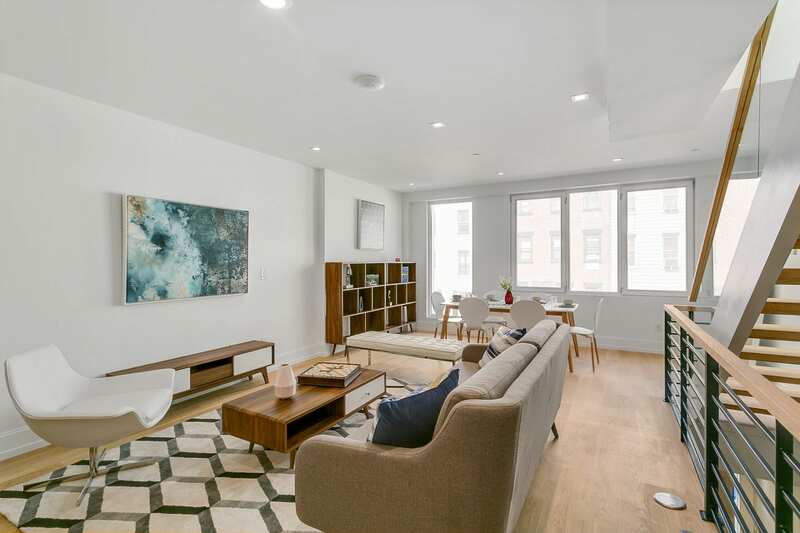 GRIFFIN TOWNHOUSE condominium, LIC’s new & notable triplex residence, radiates that special intermix of warm appeal with advanced modernity situated in the heart of NYC’s most convenient and vibrant waterfront community. 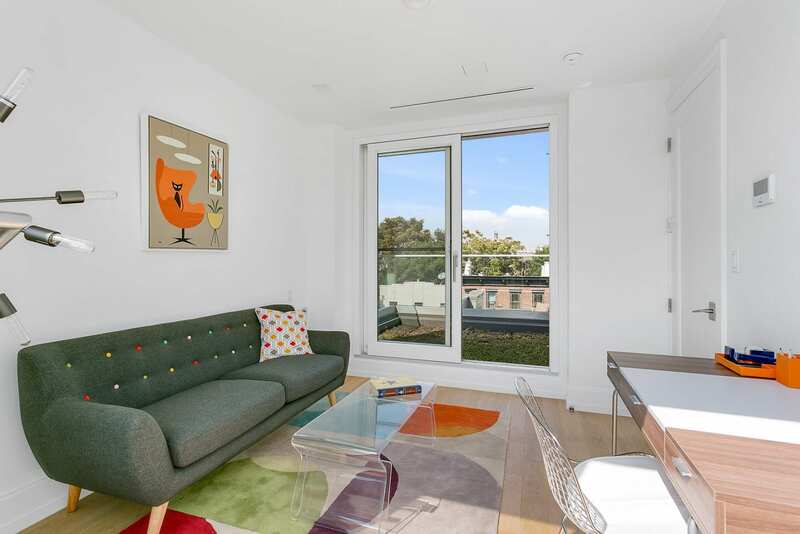 A beautiful 3 Bed/ 3.5 Bath layout featuring high ceilings, solid oak floors, double-glazed oversize windows and gracious living space is further enhanced by a fully decked roof top terrace with partial Manhattan views and an open air BBQ grill and outdoor sink. Four skylights embedded flush to the patio floor stream natural light throughout the home’s second level. 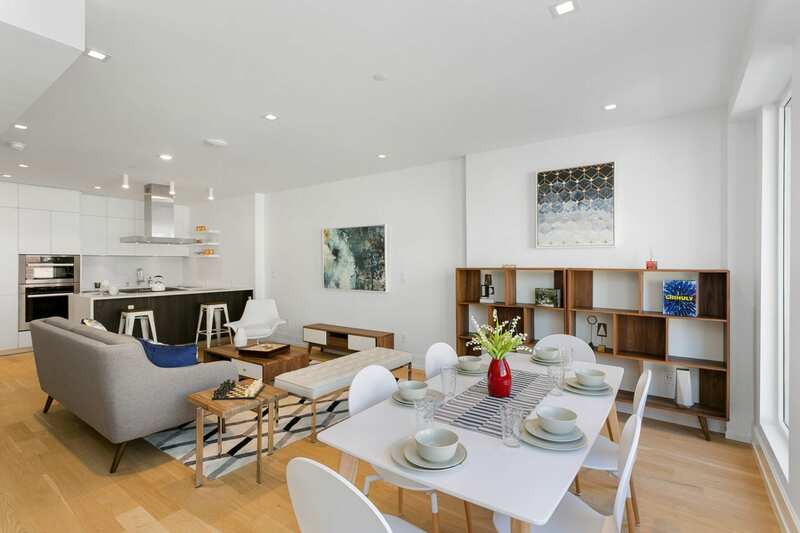 The main floor offers generous open living and dining areas – offset by a sleek kitchen design furnished with outstanding Miele appliances, Caesarstone quartz countertops, elegant cabinetry and U-Line wine cooler. Vented out duct feature is a highly sought benefit for cooking practicality. The sizeable bedrooms span the full building’s width offering each their own en-suite bathroom and customized walk through closets. The full marble master ensuite features heated floors and refined fixtures. LG split heating and cooling system, extra large W/D and Smart intercom. 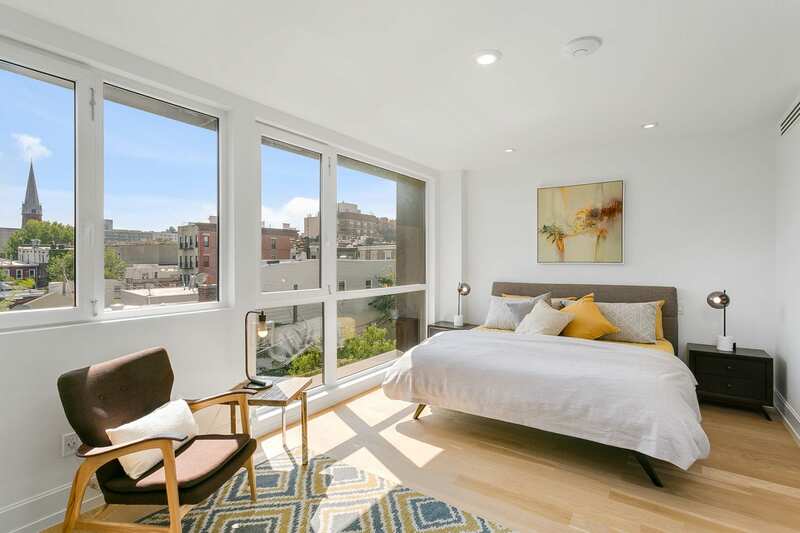 Just a few blocks from the subway with only 1-stop into Manhattan and close proximity to the waterfront, several parks and the new library, GRIFFIN TOWNHOUSE is optimally situated as being in LIC’s prime location. Vernon Blvd with its abundant restaurants, bars and shops is conveniently within a block’s radius as well. Real estate taxes on all GRIFFIN TOWNHOUSE homes – as Tax Class II properties – are just a fraction of what an owner would pay for a similar home in a large luxury condo building. This address is the 2nd phase of GRIFFIN’s other exciting new 3-unit development located nearby at 10-27 47th Road as 100% sold out while the project was still under construction. 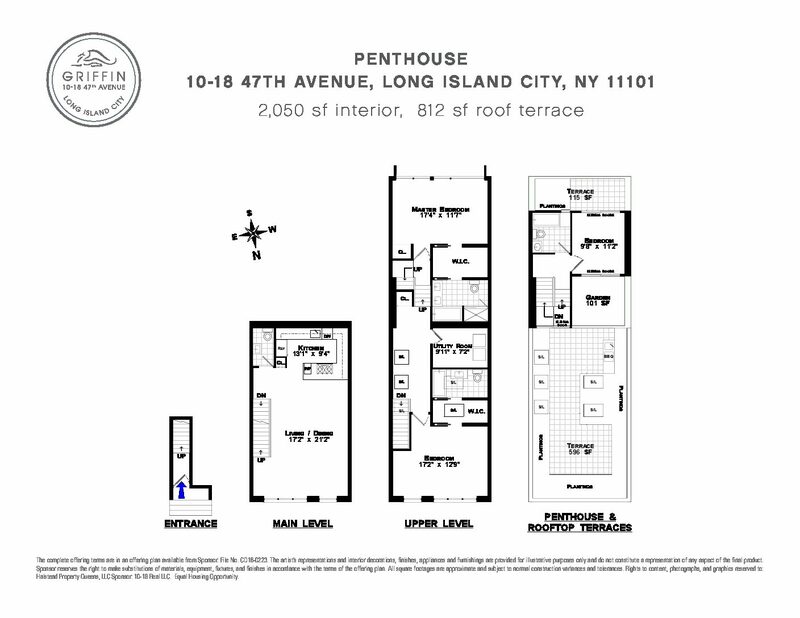 Book your private showing today and experience a stellar rooftop lifestyle! 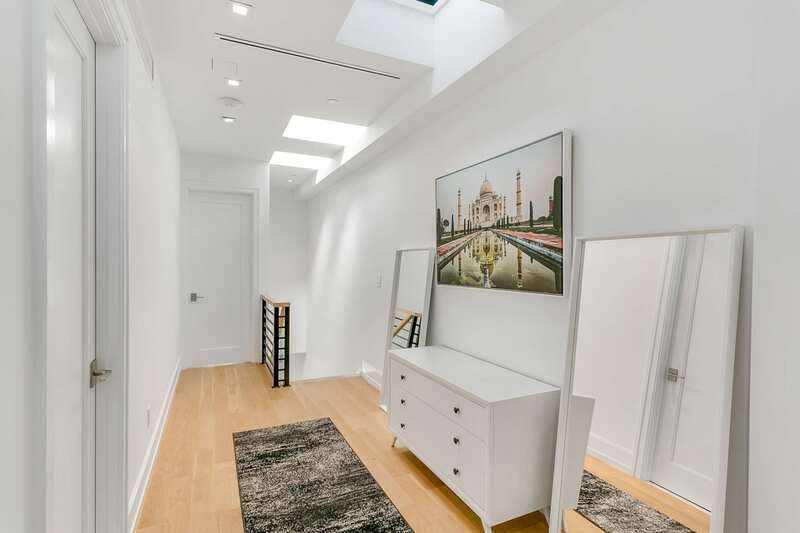 This exquisite penthouse home touts an impressive interior of 2050 SF and an 812 SF private roof terrace that offers an elegant lifestyle of pure leisure and serenity. 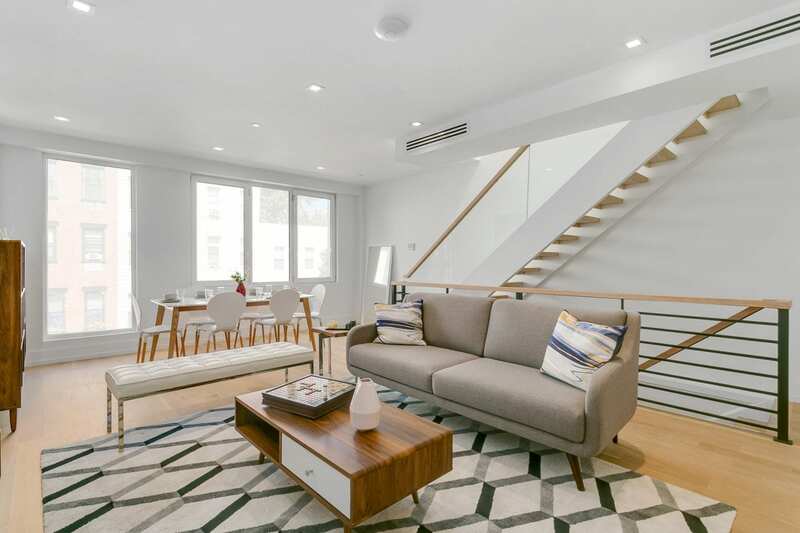 GRIFFIN TOWNHOUSE condominium, LIC’s new &amp; notable triplex residence, radiates that special intermix of warm appeal with advanced modernity situated in the heart of NYC’s most convenient and vibrant waterfront community. 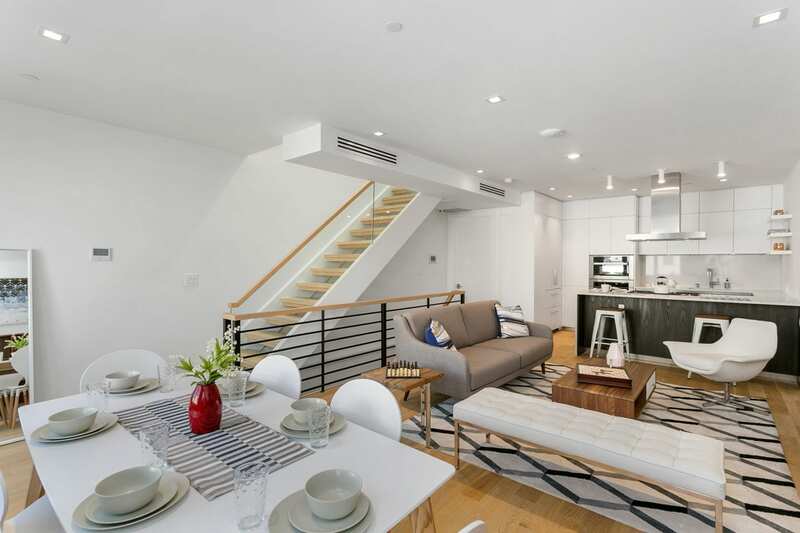 A beautiful 3 Bed/ 3.5 Bath layout featuring high ceilings, solid oak floors, double-glazed oversize windows and gracious living space is further enhanced by a fully decked roof top terrace with partial Manhattan views and an open air BBQ grill and outdoor sink. Four skylights embedded flush to the patio floor stream natural light throughout the home's second level. 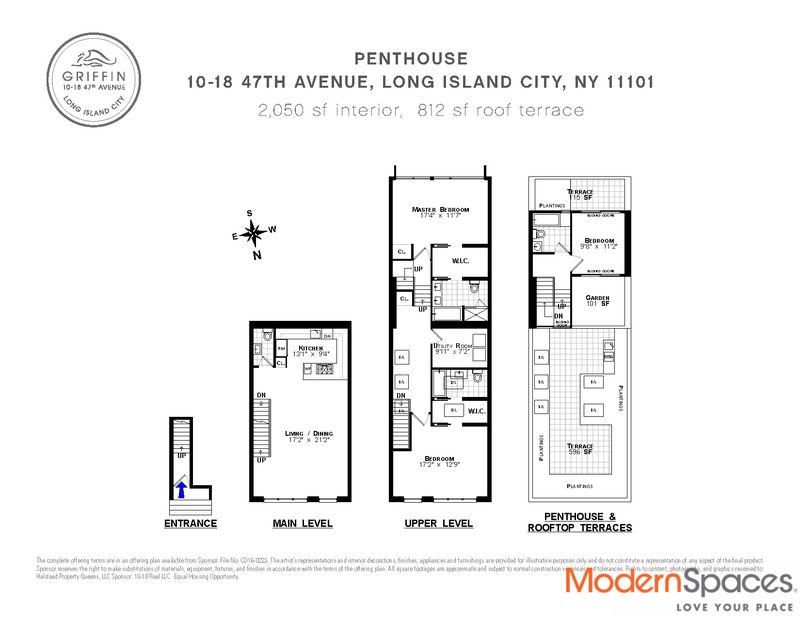 The main floor offers generous open living and dining areas - offset by a sleek kitchen design furnished with outstanding Miele appliances, Caesarstone quartz countertops, elegant cabinetry and U-Line wine cooler. Vented out duct feature is a highly sought benefit for cooking practicality. The sizeable bedrooms span the full building's width offering each their own en-suite bathroom and customized walk through closets. 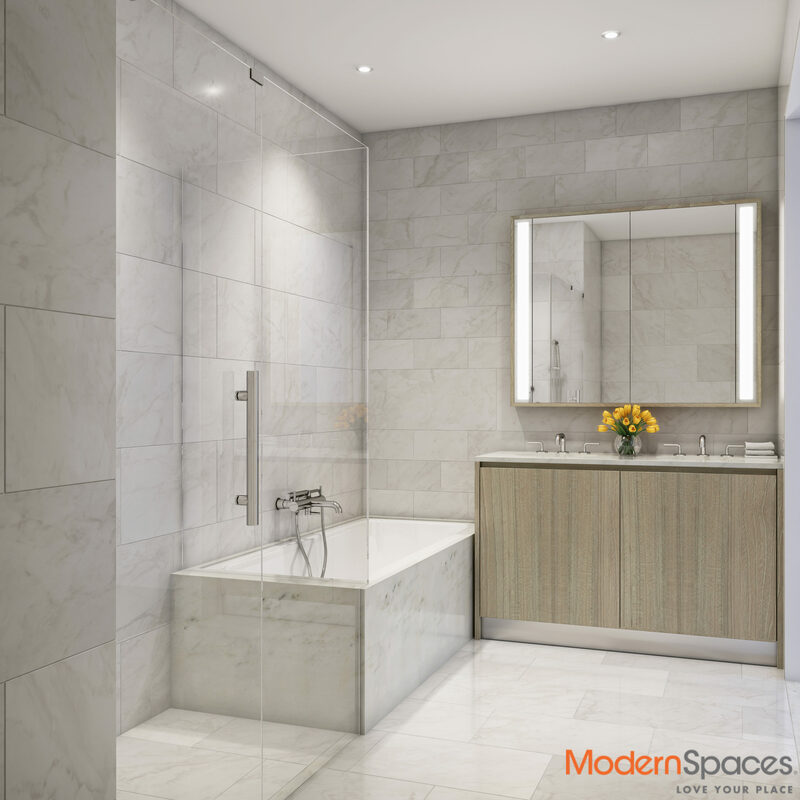 The full marble master ensuite features heated floors and refined fixtures. LG split heating and cooling system, extra large W/D and Smart intercom. 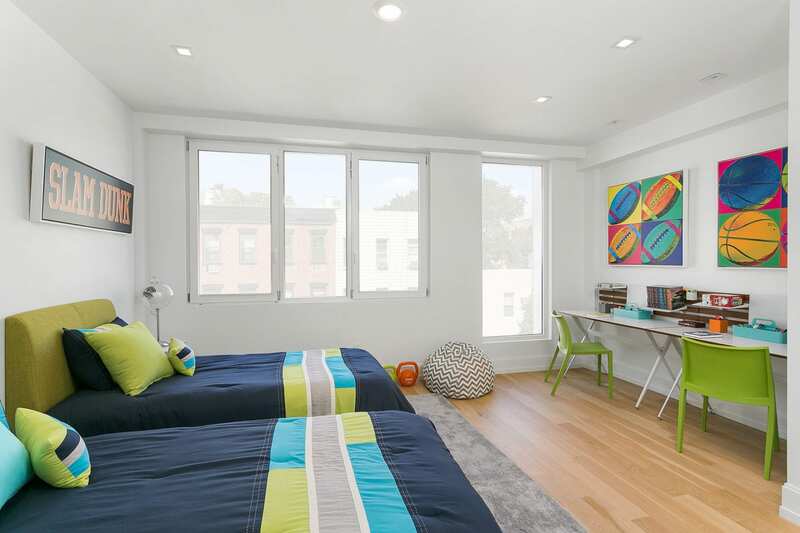 Just a few blocks from the subway with only 1-stop into Manhattan and close proximity to the waterfront, several parks and the new library, GRIFFIN TOWNHOUSE is optimally situated as being in LIC’s prime location. Vernon Blvd with its abundant restaurants, bars and shops is conveniently within a block's radius as well. Real estate taxes on all GRIFFIN TOWNHOUSE homes - as Tax Class II properties - are just a fraction of what an owner would pay for a similar home in a large luxury condo building. 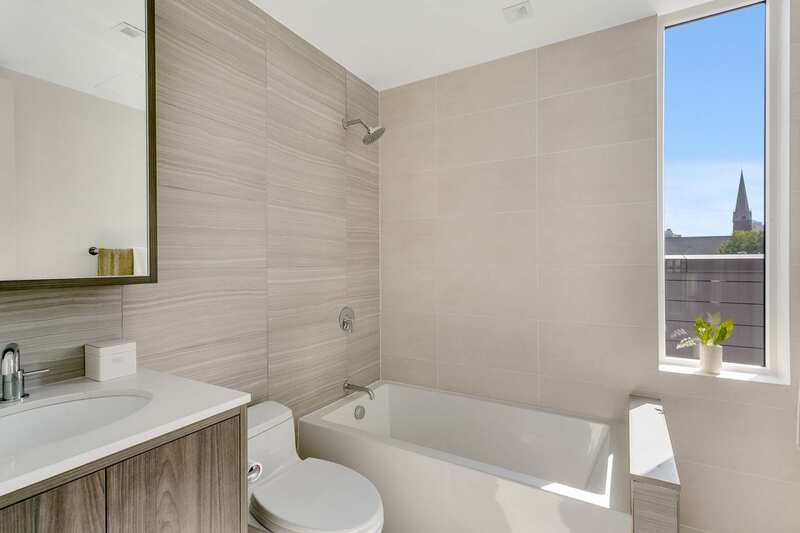 This address is the 2nd phase of GRIFFIN's other exciting new 3-unit development located nearby at 10-27 47th Road as 100% sold out while the project was still under construction. 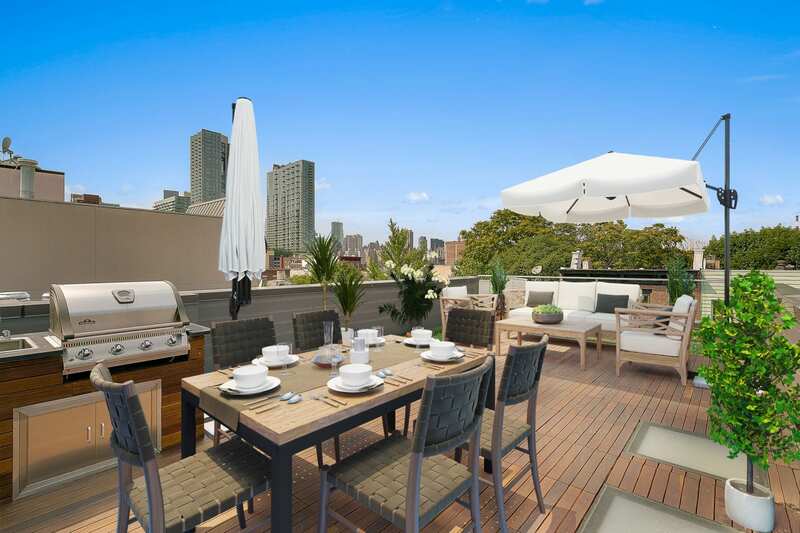 Book your private showing today and experience a stellar rooftop lifestyle!